Centurion – the fastest, most accurate passive wall mounted breathalyser. The Centurion wall mount is the latest in compact, efficient, zero tolerance alcohol testing from Alcolizer Technology. You can test 100% of your work force before they enter the worksite! The compact, robust Centurion wall mount uses passive testing to process workers rapidly – Centurion can process up to 360 workers an hour with an instant response time on a zero BAC reading. Centurion will operate 24 hours a day in conditions ranging from -5°C to +50°C. Configurable to fulfil your program requirements from simple self-test stations for visitors/contractors through to fully integrated staff management systems. No mouthpieces, straws or extra accessories are required with the Centurion passive wall mount. Its unique sample collector eliminates blow-back and residue from positive blows are expelled from the side outlets. Centurion is the only wall mounted breath tester on the market today with Alcolizer’s patented modular calibration system. Introducing Alcolizers proven modular system to a wall mounted application enables calibration to be completed on site in around 60 seconds thereby increasing the units’ availability for testing by minimising calibration downtime. Centurion excels with connectivity options supported “out-of-the-box” with an on-board ARM Cortex-A8 CPU and Customer Programmable Colour Screen. 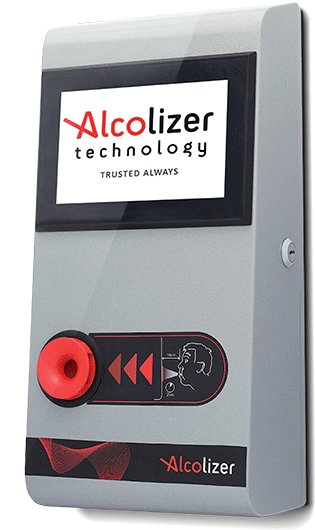 Alcolizer Alcohol test equipment is Australian designed and fully supported worldwide. We know our equipment is a critical component in ensuring the health and safety of your workers, site visitors and assets. Our AlcoCARE™ program and factory trained technicians can support your equipment in the fastest and most cost effective manner for you. Centurion is designed and manufactured the highest quality standard ISO:9001 . Order Centurion online: click here to view the online product order page or, click the Purchase Centurion button below. Alternatively, talk to us for a demo or a total customised solution, phone 1300 789 908.